The Rwandan NGO ‘Association des jeunes de Saint Charles Lwanga’ (AJECL) contributes to the advancement of local cooperatives in Rwanda. The Lemonaid & ChariTea Foundation has been financially supporting the partner organisation in implementing its current project since May 2018. Through further training measures and the expansion and strengthening of entrepreneurial skills, the capacities of the supervised cooperatives are increasing. Back in October 2004, Abbé Théogène Iyakaremye founded the youth association AJECL, together with a youth group from the community of Nyamirambo. The current NGO has undergone a process of professionalisation and counts 26 permanent members. AJECL’s mission, however, has not changed: To make a contribution to the solution of the numerous problems which burden Rwandan society. The population in the target region, in the districts Nyarugenge in Kigali City and Bugesera in the eastern province of Rwanda, has had to struggle with major challenges over the past decades. Due to the political unrest in the area of economic, social and political developments. The youth of Rwanda, who witnessed the horrors of war and the genocide of the Tutsis in 1994, are particularly affected. AJECL offers support for vulnerable youth to address this problem. This gives young people the opportunity to make a positive contribution to the socio-economic development of their country and to promote the reconstruction of Rwandan society. AJECL pursues clearly defined goals and wants to accompany young people on their way to combat poverty and improve the conditions of the society in which they live. The vision is a society inspired by human and moral values, in which it is possible for each individual to develop and live in dignity and peace. In order to achieve these goals, AJECL promotes the skills of local business groups out of different sectors. Targeted activities, training and education are offered, which serve the development of the local cooperatives and thus of the entire area. The NGO already supports 35 cooperatives throughout the country. Some of these associations were facingwith the problem that the direct impact of entrepreneurial success on individual households and their members was limited. In order to improve the situation, it would have been necessary to continue to invest into the work and to professionalise it. But there is often a lack of capital. And even taking out loans is difficult, due to a lack of bankable business plans and often high interest rates. This is where the current AJECL project kicks in, which is aiming at the development of 5 cooperatives in the districts of Nyarugenge and Bugesera. The approach provides further advancement of entrepreneurial as well as organizational skills. Therefore AJECL offers courses in business plan development, project management, marketing of products and services. In the area of administrative development, topics such as leadership quality, administration, planning, monitoring and evaluation are focused. The idea behind the training programmes is to promote the development and implementation of income-generating measures within the cooperatives. At the end of the project period, the revenue of each individual cooperative should have risen by 80 percent. And the annual income and standard of living of the members should have grown accordingly. The support of the 5 cooperatives reaches vulnerable households with a total of 127 persons. AJECL’s approach allows members to better manage and organize their joint activities. This leads to better results, which in turn have an individual impact on the members. The 5 cooperatives are active in very different sectors. For example, the 12 members of the Abantiganda Bakarama Cooperative run a beekeeping business. 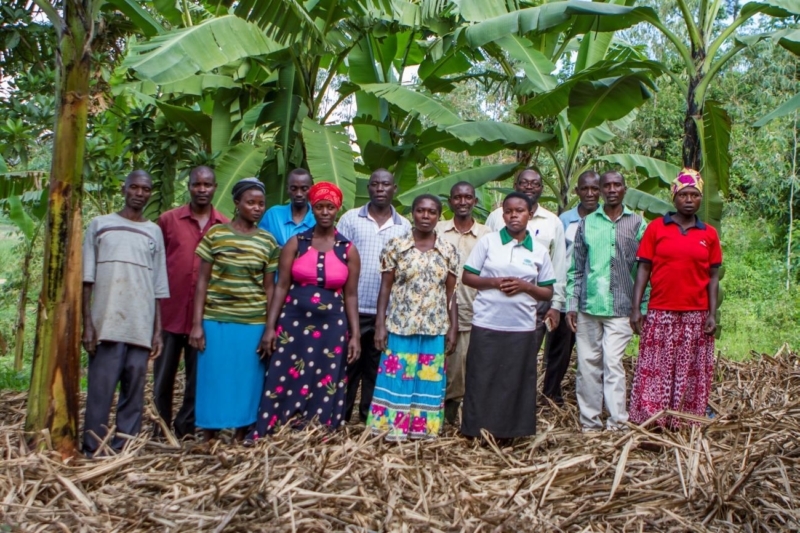 The main source of income of the Abizeranye Bamageragere Cooperative is the banana cultivation. In addition, the 16 members of this cooperative are active in pig breeding. 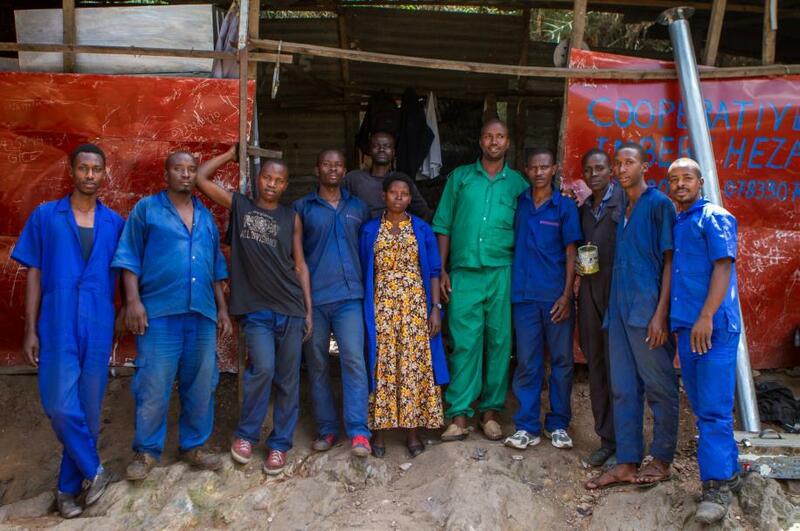 The Imbereheza Cooperative currently consists of 13 members and operates a welding workshop. In addition to the general education programmes for all cooperative members, 20 participants from the cooperatives are further supported through the granting of microcredits. Individual members are identified by AJECL and specially trained in the development of their revenue-generating projects. The final decision on financing is based on criteria such as the feasibility of the project, the level of income, the time to generate income and the multiplier effects of the project. 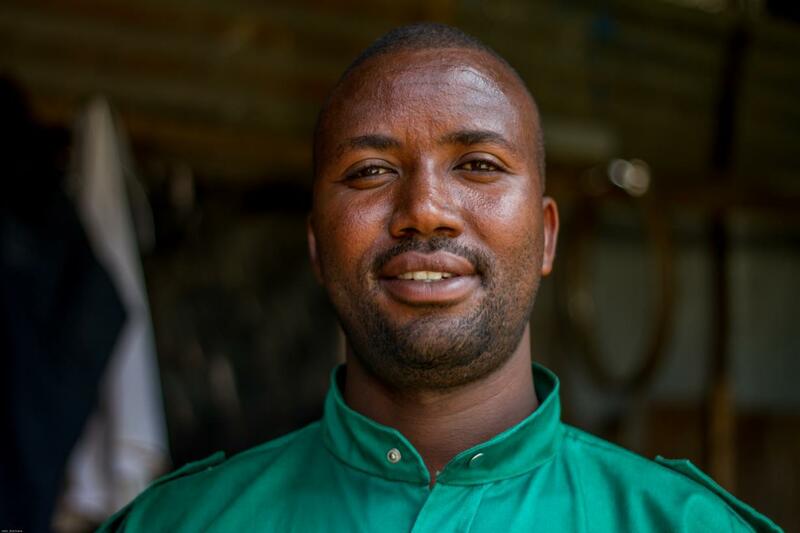 20 borrowers can receive loans for the co-financing of their project up to an amount of Rwf 2,000,000 (approx. 2000 €). They have to repay the loan within a maximum period of 24 months after receiving the first tranche. The reimbursement is a rotating fund, which is used for other borrowers and for financing their projects. The Lemonaid & ChariTea Foundation supports AJECL in the implementation of the project in form of personnel costs and the costs for educational programmes. Another planned measure is the construction of additional dormitories and rooms to strengthen AJECL’s capacity in the field of education. The long-term goal of AJECL’s work is to empower young people in Rwanda to withstand all forms of manipulation and exploitation, and to work with non-violent means for peace, justice and progress for all.